Stealing a stranger’s carriage is the second most reckless thing Lady Catryn Gryffin de Warrenne has ever done. The first is succumbing to her powerful attraction to the carriage’s owner. Catryn has heard the rumors about Sir Orion Wherlocke’s family and their otherworldly gifts. He’s the one person who can keep her son and his inheritance safe from her late husband’s ruthless brother. As for how to protect herself…it may be too late for that. After completing this novel, I had only one question. ‘ Why did it take me so long to read Hannah Howell’s work?” I had heard about her from a few of my friends, but I was a bit reluctant to take the chance and read her work. A few persons who know me would think this strange as I am generally the type of person who likes to be introduced to new authors. Anyway to cut a long story short, the opportunity arose for me to take the leap and read her work, thanks to Netgalley and Tasty Book Tours. At first I was worried that I would not be able to follow the story, seeing that it is the sixth book in the Wherlocke series. Well, my fears were for naught as If He’s Daring can be read as a stand alone. This is an entertaining read that will grab your attention from the first page. It pulls you in and have you hanging on to every word until the very end. One can’t help feeling as if they are a part of the adventure to recover Catryn’s son. The characters are endearing and likeable. My favourite is Giles. He was abandoned by his mom due to the fact that he had abilities which she found strange and could not handle. He was recently discovered by his father, Sir Orion Wherlocke. Giles spent the past eight years of his life on the streets. His experience on the streets coupled with his ability to read peoples emotions has made him a very smart for his years. The romance between Catryn and Orion was well developed. It was not rushed and it is believable. It was clear to see that their feelings for each other were genuine. Relating to Catryn is easy. Here we have a widow and a mother who is willing to do anything to save her child from the clutches of his greedy uncle. She was in a loveless marriage and the only good thing to come from it was her son Alwyn. If He’s Daring is an endearing story of love that will keep you on the edge of your seat and have you guessing at every page turn. I enjoyed this story and I am compelled and eager to read the previous books in the series. If you love historical romance that is filled with adventure and has a supernatural twist, then you need to get a copy of If He’s Daring. Suddenly she was aware that she was seated very close to Orion and he had his arm around her. It was nice, the warmth of his body keeping away the encroaching chill of the night. It was also highly improper, such as riding around the countryside with an unmarried man who was not related to her. She looked up at him to find him looking down at her. His face was so close and so very handsome. She could see concern for her in his beautiful blue eyes. His mouth was almost as pretty, the bottom lip a little fuller than the top. Catryn could not recall the last time she had been kissed by a man, and she suddenly craved a kiss. Orion knew it was a mistake as he lowered his mouth to hers, but the way she looked at him had been a temptation he could not resist. There had been the glint of want and curiosity in her sea-green eyes, and his body strongly encouraged him to respond. It took but one brush of his mouth over her full, soft lips to tell him that he could be risking a lot just to steal a little taste, but he ignored the warning. Catryn curled her arms around his shoulders as he kissed her. When he nipped at her bottom lip, she opened her mouth so that he could deepen the kiss. Her body trembled from the strength of the desire that flooded her. He tasted so good, his body pressed against her was a delight, and he even smelled wonderful. She wanted to sit there in his arms and keep on kissing him until the sun rose. That thought was enough to make a warning bell sound in her mind and she gently pulled free of his hold. “I believe I need to write a message and send it to my father, for we must try and learn if there is Wherlocke blood in my family,” she said as she stood up and brushed down her skirts with shaking hands, knowing it was a ridiculously abrupt change of subject but desperate to get away from the man. “Sleep well, Cat,” he said, and smiled at the way her shoulders stiffened as she hurried away. It had been an abrupt ending to a sweet, moment, but he was not surprised. She had not shied away from his kiss but had not shown any great experience, either. It was more proof that he should stay far away from her, but he knew he would not be able to. Already he wanted to hunt her down and kiss her again. Licking his lips, he deemed hers the sweetest mouth he had ever tasted. “There is trouble for you there, fool,” he muttered to himself as he headed back inside, but a part of him refused to heed any advice, actually anticipated running right after that trouble until it was caught. 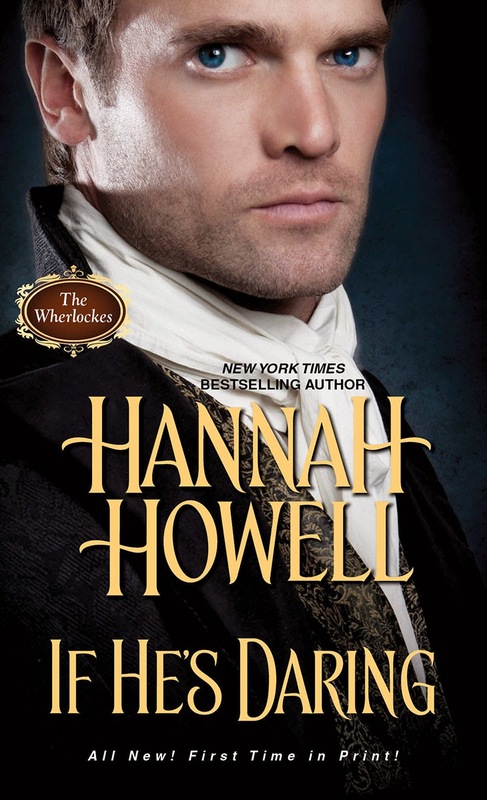 Hannah Howell is the New York Times and USA Today bestselling author of more than 30 Zebra historical romances. 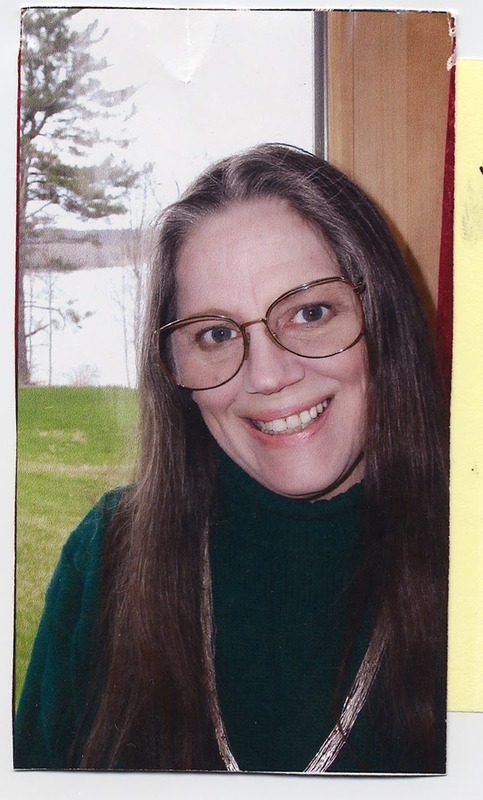 Howell, twice awarded the Golden Leaf Award, has been a Romance Writers of America RITA Finalist and received RT Book Reviews’ Career Achievement Award for Historical Storyteller of the Year. She lives West Newbury, Massachusetts with her family. Visit her website at hannahhowell.com.